A bumblebee is seen gathering pollen. This spring is producing especially high pollen counts, particularly due to tree pollen. On expert says the reason for such high counts right now is due to the extended winter that turned from cold to hot so quickly this year. Allergy season is in full swing in Pennsylvania. And we all have coworkers and friends complaining about the flare-up symptoms and how every year is worse than the next. But is this year really that bad? According to expert allergists in the area — it sure is. Tree pollen is normally the top aggravator, as it’s the first natural indicator that spring has sprung. After tree allergies come the summer grass allergies and then the late summer ragweed. Interestingly enough, York, Pa. has the highest pollen count in the United States right now with a whopping 9229 and counting — the sum of tree, grass and ragweed pollen. For an area that’s heavily tree populated, it makes sense. Next week things should mellow out again, weather forecasts are predicting; counts will start descending at this end of this week. Doctor John V. Bosso, the director of the Otorhinolaryngology Allergy Clinic at Penn Medicine, said the reason for such high counts right now is the extended winter that turned from cold to hot so quickly this year. 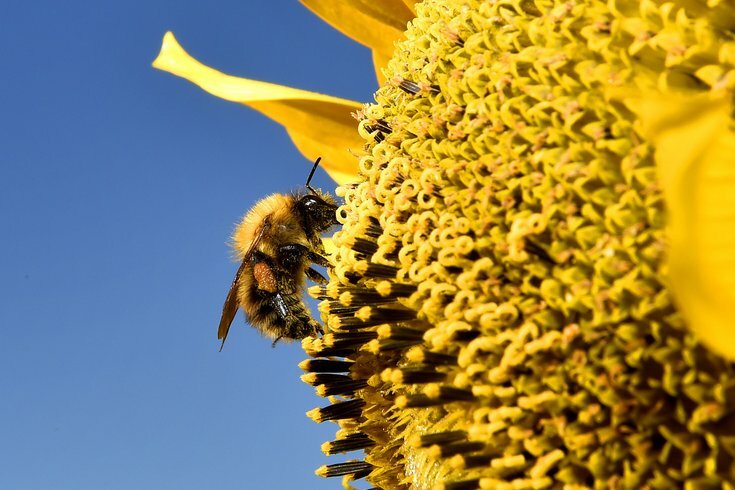 “We had a prolonged winter, and so I think what you’re seeing is that since spring came all at once, that the pollen is kind of being condensed and tree pollen is being condensed into a shorter period of time,” Bosso said. And there are other facts that may be contributing to the high counts, he added. Like climate change. And the allergenicity (the protein that makes up pollen) of the trees. But because of the incredibly sudden change from winter to spring, instead of a gentle pollination progression that starts with maple, then birch and then oak, this year all three started to pollinate at once. Elina Toskala, professor of otolaryngology and director of allergy at Temple University Hospital, says this year, even patients who don’t normally struggle with allergies have come into her clinics with symptoms. Run the AC, keep your windows closed, use salt water rinses to keep your airways clear and take topical, spray or tablet antihistamine medications, Toskala advises. Will high counts and bad symptoms last longer this year? Maybe. Bosso said just because it started late doesn’t mean the season will stretch on longer. It might just be really, really bad for a few weeks.